This week ALS undertook a job in Seal sands. 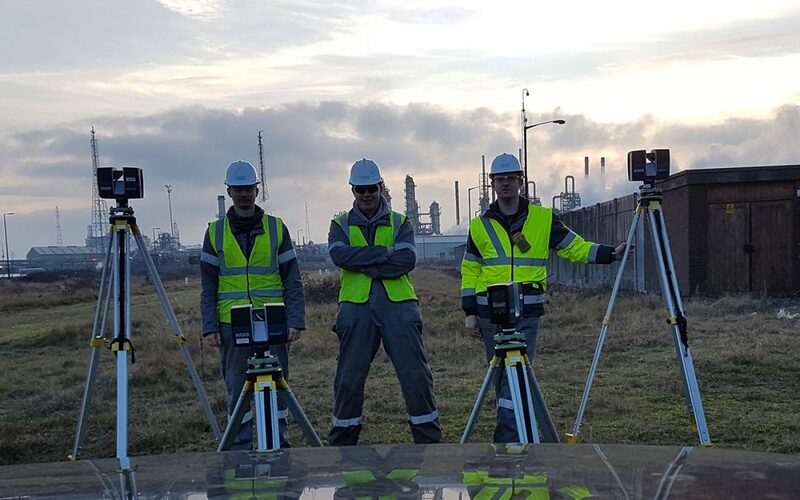 Our client wanted their 120,000 square metre site scanned. The site consists of over 70 tanks, 10 pump slabs, 15 road loading bays and two jetties. The Client requested the site to be surveyed in order to take full advantage of the range of outputs we could produce from a 3D model to help them with their compliance requirements including P&IDs, Accurate 3D Process Models, Piping Inspection Drawings and Tank Analysis. This particular site was very busy, with constant maintenance, road tankers loading, ships unloading and general day to day maintenance. So they asked that the survey was completed quickly. So we had to work efficiently with three of our highly trained surveyors, who all hold CCNSG Passports , First Aid, Confined Space and fire & safety trained. We used four S line FARO Focus scanners. The site took 5 days in total to complete and we will be delivering to the client within the next 3 months.